Fiji’s Ambassador to the United Arab Emirates Robin Nair says no ransom of $20 million was paid for the release 45 Fiji’s captured soldiers in the Golan Heights on September. Nair’s says assurance on the release of the 45 Fijian peacekeepers was given by the Qatari Foreign Minister Dr Khalid Bin Mohammed Al Attiyah to Fiji’s Foreign Minister Ratu Inoke Kubuabola. 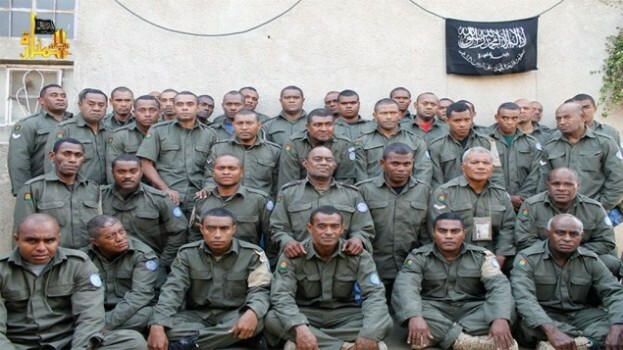 A Middle East based-newspaper, Asharq Al-Awsat had reported that Syrian opposition sources allegedly that Qatar paid militants from the Al-Nusra Front in Syria a ransom of $20m in return for the release of the 45 Fijian UN peacekeepers.